Most radiologists would probably prefer to focus on reading images, but, to survive in today's health care environment, they need some business skills or a good practice manager to survive. As technology changes the practice of radiology, business considerations are bringing changes for radiology practices. "In addition to radiology being a clinically sophisticated specialty, the practice of radiology from a practice management perspective is becoming more complex," says Tom Greeson, JD, an attorney and partner with Reed Smith LLP in the firm's Tysons office in northern Virginia. Greeson has seen many changes that affect diagnostic radiology groups, imaging centers, and hospitals over the past three decades. Prior to going into private practice, he was the general counsel to the ACR. He says three key considerations for today's radiology practices are integration or consolidation, the clinical decision support (CDS) mandate, and rules relating to supervision of diagnostic tests. 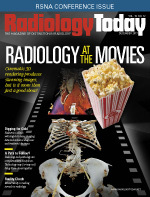 The need for sophistication in billing and management is driving the need for radiology practices to become part of larger organizations, Greeson says. Quality reporting measures that began with the Physician Quality Reporting System are now part of the Medicare Access and CHIP Reauthorization Act of 2015, and practices are required to comply with the measures. He says the increased complexity of the rules makes it difficult for smaller practices to meet the requirements on their own. "A radiology group is probably ill advised to rely solely on a homegrown billing process, particularly if they're small," Greeson says. "They're better off either becoming part of a bigger, more sophisticated group or making sure that they have contracted with one of the highly regarded, third-party radiology billing companies that have spent a lot of time understanding these rules and can help them bill and report in a way so that they will not suffer significant payment penalties in the out years." In addition, hospitals are becoming more demanding in terms of being able to understand the value that radiologists bring to the hospital, medical staff, and patients. This means that performance metrics are no longer optional, Greeson says; additional IT resources are required. He adds that practices also need to demonstrate that they can cover cases quickly and can provide subspecialty coverage. Both of those tasks are easier for large practices. The CDS mandate for advanced medical imaging of Medicare outpatients, which takes effect on January 1, 2020, adds to the IT burden. Although the CDS requirement relates to referring physicians, radiology practices will be tasked with documenting that CDS was used appropriately by the referring physicians. Failure to comply will result in lost revenue. These factors offer compelling reasons for radiologists to consider practice integration or consolidation, Greeson says, because larger, more diversified organizations can better manage the risks associated with managing a modern radiology practice. He says this environment represents the natural evolution of how professionals practice in other industries, and he notes that a considerable amount of consolidation has been happening in health care for many years. "All of those forces are coming together to create opportunities for radiologists to become part of something considerably bigger," Greeson says. "While there will still be a place for the small, local radiology group, it's going to become more and more of a reality to see larger, more sophisticated organizations that are radiologist-run, radiologist-owned, and radiologist-governed but, nevertheless, considerably larger with a lot more capital and much more robust management expertise. Such expertise will allow them to leverage their clinical skills and deliver a more comprehensive product to their patients and the hospitals with whom they're aligned." Another issue that is getting more attention is the appropriate supervision of diagnostic imaging exams performed on Medicare patients. There are three types of supervision that relate to the exams: general, direct, and personal. Greeson says lack of compliance with the rules can lead to significant consequences. "One of the areas that remains a hotbed of fraud and abuse activity in radiology, particularly with respect to whistleblower types of actions that involve the OIG [Office of the Inspector General] coming in and knocking on your door, are the requirements that diagnostic tests be properly supervised by a physician," Greeson says. "And the area where some imaging centers and radiology groups continue to find themselves in difficulty, at times, is if they have not strictly complied with the requirements of the Medicare rules for studies that require direct supervision." Greeson says the rules relating to direct and personal supervision are more challenging than those for general supervision. For example, a noncontrast CT or MRI only requires a physician's order, but a contrast study requires a physician on site and immediately available—direct supervision. If the exam is performed at an independent diagnostic testing facility (IDTF)—generally an imaging facility that is not physician owned—Medicare requires that a physician with proficiency in the particular test, eg, a radiologist, must provide the direct supervision by being on site and immediately available. Tests such as myelograms, venograms, and arthrograms that require personal supervision are also challenging because the supervising physician must be in the room throughout the entire procedure. But many imaging centers and IDTFs use physician's assistants (PAs) to help manage their workloads, which can cause them to be noncompliant if the PAs aren't managed correctly. Because PAs are highly trained medical professionals, Greeson says questions remain about what types of activities they should or should not be allowed to undertake. PAs are not permitted to supervise diagnostic tests, since Medicare rules limit that responsibility to physicians. Also, hospital-based practices often employ radiologist assistants (RAs) or radiology practitioner assistants (RPAs). Although more than 20 states have passed laws allowing RAs to perform some radiological duties, and Greeson believes that radiologists find these professionals helpful, practices can easily run afoul of Medicare supervision rules. Part of the problem is that RAs and RPAs don't have the same status under Medicare as they do under state licensure laws. "We've worked with a lot of clients who have, unfortunately, had to make significant Medicare overpayment refunds because services were billed that RAs or RPAs performed that should have been performed by a physician," Greeson says. "I anticipate that, eventually, Medicare rules will catch up with the clinical training of these midlevel practitioners but, as of today, my advice to radiology groups is to be cognizant of the Medicare rules and don't use these midlevel practitioners in a way that is not permitted. If you submit a claim for a service that was not performed by the physician, that can be construed to be a false claim. Radiologists need to be very careful to avoid that pitfall." Although current practice developments are changing the face of radiology, Greeson expects to see new and bigger challenges in the years ahead. For example, artificial intelligence is in its infancy in radiology, and its role has yet to be defined. "All of these years I've worked in radiology, I find it incredibly fascinating," Greeson says. "It's always been a fast-changing, highly technology-driven specialty, and radiologists have embraced change and new technology, which, to me, has made working with radiologists over the years really interesting and rewarding."